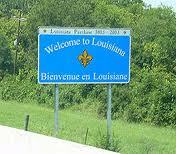 Bankruptcy Information | I Live in Louisiana. How Do I Know If I Can File A Chapter 7 Bankruptcy? I Live in Louisiana. How Do I Know If I Can File A Chapter 7 Bankruptcy? Home > Bankruptcy Basics > I Live in Louisiana. How Do I Know If I Can File A Chapter 7 Bankruptcy? 13 Jun I Live in Louisiana. How Do I Know If I Can File A Chapter 7 Bankruptcy? Usually the first question that I receive from a prospective client who is considering bankruptcy is whether he qualifies to file a Chapter 7 Bankruptcy. The answer to this question primarily depends upon the debtor’s income. The median income test is an obstacle placed in the path of a potential debtor by the credit card industry and its lobbyists. If the debtor makes less than his state’s median income, then, generally speaking, he can file for Chapter 7 bankruptcy. If the debtor makes more than his state’s median income, then further inquiry must be made to find out if he can still qualify. For each additional person in the household an additional $6,300.00 per year is added. So what this means is if you are a single individual and make less than $33,001.00 then you will probably qualify to file under Chapter 7 without there being a presumption that you as a potential debtor are trying to abuse the bankruptcy process. But what happens if you make more than your state’s median income? Do you have to file for Chapter 13? Well, the answer is that all is not lost! For an excellent in depth article on median income consider reading “Do I Qualify For Bankruptcy, Median Income Part 2 of 9” by attorney and Bankruptcy Law Network contributor, Andy Miofsky.